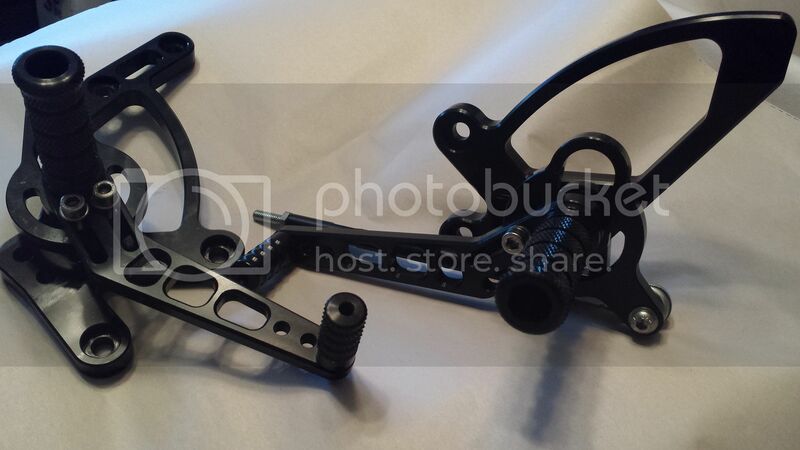 Hey Everyone; Here are the SV Racing Parts Black Custom CNC Machined, Made Right Here in the USA!! Rear Sets. New Foot Pegs, New Smooth Toe Piece for Shifter, and Knurled Toe Piece for the Brake Side. 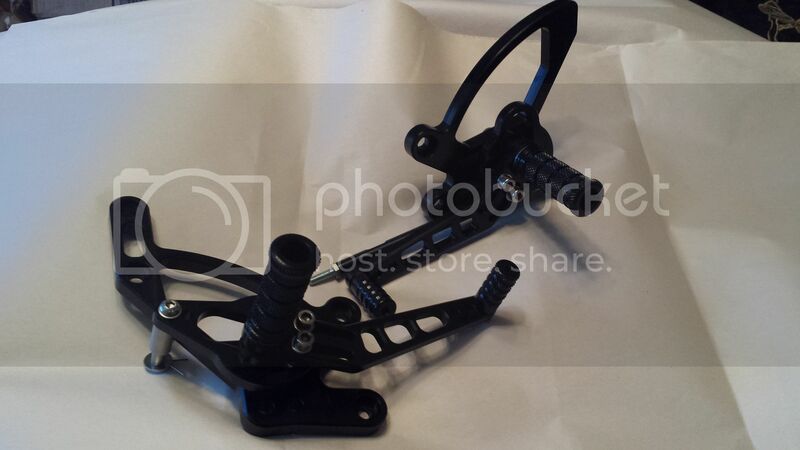 Additional M8 Holes for Increased Adjustability for the Rider and Even Better Ninjette.org pricing for Everyone!! Super feel and Superb Clearance for Riders and Racers everywhere.